THERMO HISTORIC 92mm profile windows. 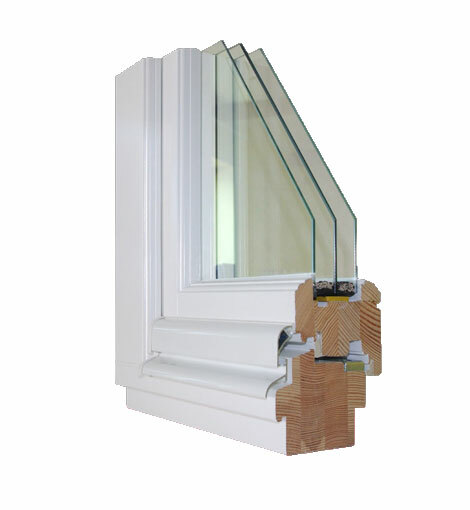 Profile provides the old-style windows and functionality is same as in THERMO LINE 92mm windows. These windows are suitable for buildings which imitate classic design solutions and termo-modernisation of restored historical buildings. The heat transfer coefficient Uw – ranges from 0,95 to 0,80 W/m2K. Triple glazing unit - 4/18/4/18/4 – double chambered system. Thermal insulation glass of Ug = 0,5W/m2k. The possibility of obtaining heat transfer coefficient up to 0,6 W/m2k. Choice of any glass panes with maximum thickness up to 60mm.